We invite you to enjoy the entire Arcadia Experience. 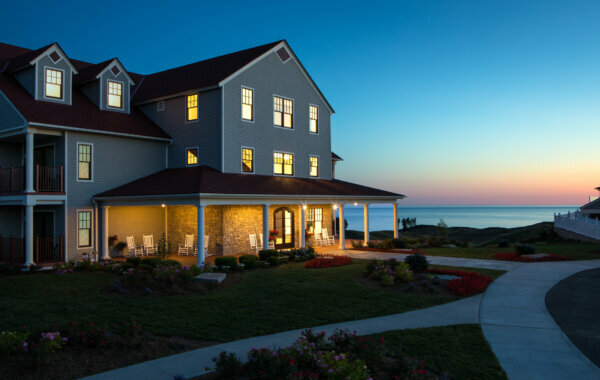 The accommodations at Arcadia Bluffs are designed for you to be able to relax, enjoy time with friends and family, and soak in all that Arcadia Bluffs has to offer. 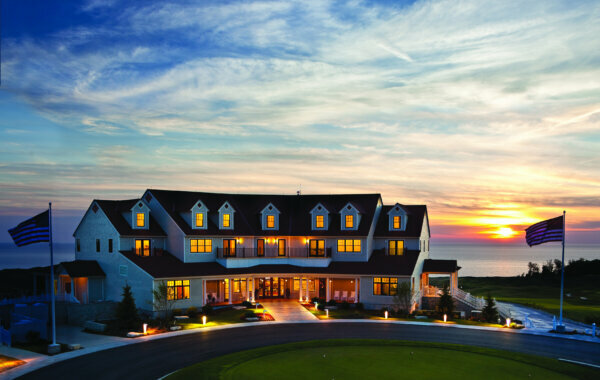 The Lodge at Arcadia Bluffs is located on the second level of the beautiful Nantucket coastal estate-style clubhouse, and accommodates 15 comfortably appointed guest rooms and 1 Suite. Most rooms face west with breathtaking views of our Bluffs Course and Lake Michigan, while some offer sunrise views. The Bluffs Lodge is located just steps away from the Main Lodge and offers 21 comfortable guest rooms, most of them featuring 2 queen beds, as well as a state of the art workout facility for our guests to enjoy. 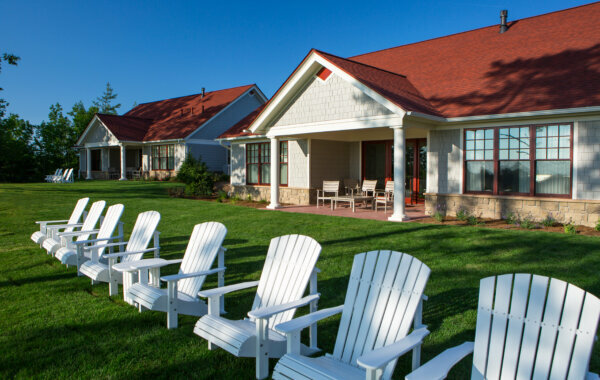 The Cottages at Arcadia Bluffs are ready for your stay. These 1900 square foot, four bedroom, four bath, gated cottages located along hole #2 provide the same world-class comforts as The Lodge, with the privacy and spaciousness sure to please your group or family. Arcadia Bluffs, located on the northwestern coast of the lower peninsula of Michigan, is within 70 miles of many of Michigan’s most popular hotspots.